The shipping industry is a fast paced and versatile environment that is unique when compared with other businesses. A vessel can be operated from one country, flagged for operational reasons to another and then crewed by seafarers from another nation. As well as the large majority of ships trading worldwide, this means the world of maritime law is a complex, exciting and diverse subject. The field of maritime law is extremely varied, and encompasses many subjects such as salvage, collision liabilities, carriage of passengers, marine pollution liabilities, freezing injunctions, ship arrest, towage contracts, the limitation of liabilities and maritime liens. Admiralty Law – this is concerned with matters within the jurisdiction of the Admiralty Court. It is concerned with the "wet" areas of maritime law including acquisitions and transfer of interest in ships; ship mortgages; collisions; salvage; and marine pollution. Carriage of Goods by Sea – this is concerned with the “dry” areas of maritime law, such as the main types of contract for the carriage of goods by sea, the laws surrounding bills of lading, the modern application of the Hague Visby rules and the Hamburg rules. International Law of the Sea – exploring the legal regulation of a range of activities such as passage and resource exploration and exploitation, while considering the political factors. Marine Insurance Law – looking at the basic range of circumstances in which risks to parties, cargo and ships involved in international trade can be covered and the circumstances in which an indemnity for losses suffered can be recovered. International Sales Law – examining the main features of the private law of international trade. LLM in Maritime Law – Who’s It For? For anyone who has an interest in shipping and the different legalities that ships need to comply with on an international level, or those who are already working in the industry but wish to diversify into a more challenging and fast paced role, then studying for a LLM in maritime law may well be the answer. Working in maritime law is a very specialised subject, but one that is useful and diverse. Where Can You Study an LLM in Maritime Law? 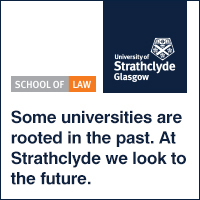 There are a large number of universities that offer the option of studying for a LLM in Maritime Law. Noticeably, a lot of these are the universities that are based in and around the various UK ports. Some of the well-known universities offering the subject of maritime law are Southampton University and the City of London University. There are also a number of universities in the United States where you can specialise in Maritime Law, the most notable is the Tulane University in Louisana, or for those wishing to go to warmer climates, the University of Hawaii offers study for a maritime LLM. What Qualifications Do You Need To Study An LLM in Maritime Law? To study an LLM in Maritime Law, the majority of UK universities require a minimum of a 2:1 in a law or related subject. However with Maritime Law, some universities will accept industry experience, so this means that industry professionals such as Ship Masters, Charterers and Ship Managers would all be considered for an LLM in Maritime Law. In addition to having the prerequisite law degree or work experience, non-native speakers will be required to undergo the IELTS English test. Most universities require a minimum of level 7 for entry into the course. Ship management, insurance and finance. A current student at the University of Exeter says, "I have always had a keen interest in the shipping industry, from a young age I was always around the sea, with sailing being a real passion of mine. My family are all lawyers, so it was a bit hard to decide between the two. On assessing my options, I decided that I could combine the two and embark on a maritime law degree. I'm now aiming to go and work for a P&I club in the legal team as soon as I gain my LLM. It's the best of both worlds and I have a lifelong career ahead of me." Did you know that 96% of the UK's trade is carried by sea? Often cargo claims arise, due to a number of different reasons, be it mishandling during loading, damage, weather damage and piracy. Sometimes these disputes require the assistance of a maritime specialist, which is where your qualified maritime law professional comes in. The USA has additional laws, which are in addition to other maritime law divisions. Any vessel trading in the US is bound by the Jones Act, which was written solely to protect US interests, as there were fears that foreign ship-building and trade would eliminate the US ship building industry.